Transition Implementation and Documentation for the IEP. 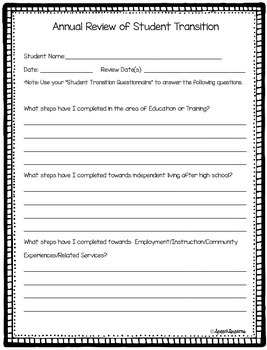 This product is just what you need to help you plan and implement transition services and goals for you middle school or high school special education students. 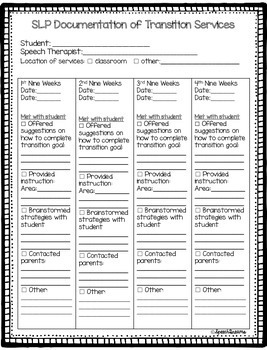 I have forms that are specifically for the speech therapist and duplicates of those forms that are specifically for the special education teacher. 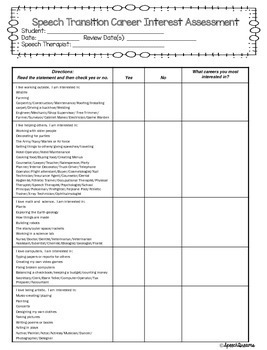 After a great deal of research, I have developed a set of forms that I feel will help me be better prepared for students who are reaching the age of transition. I have mainly dealt with younger students but recently I have been forced to look at transition. It was a little confusing for me at first, but with the included forms, I feel that I am ready to help my older students figure out their place in the higher education or working world in spite of their difficulties! 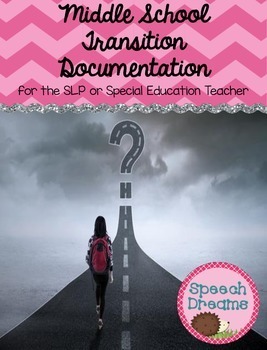 ✔ SLP Transition student list- FREE in preview! Grab this in my SLP School-Based Paperwork Bundle along with many more helpful paperwork products at 20% off!